Oh you know that’s your favorite part of the day. When both of you say those 3 beautiful words to each other. Beautiful words to hear. To say. 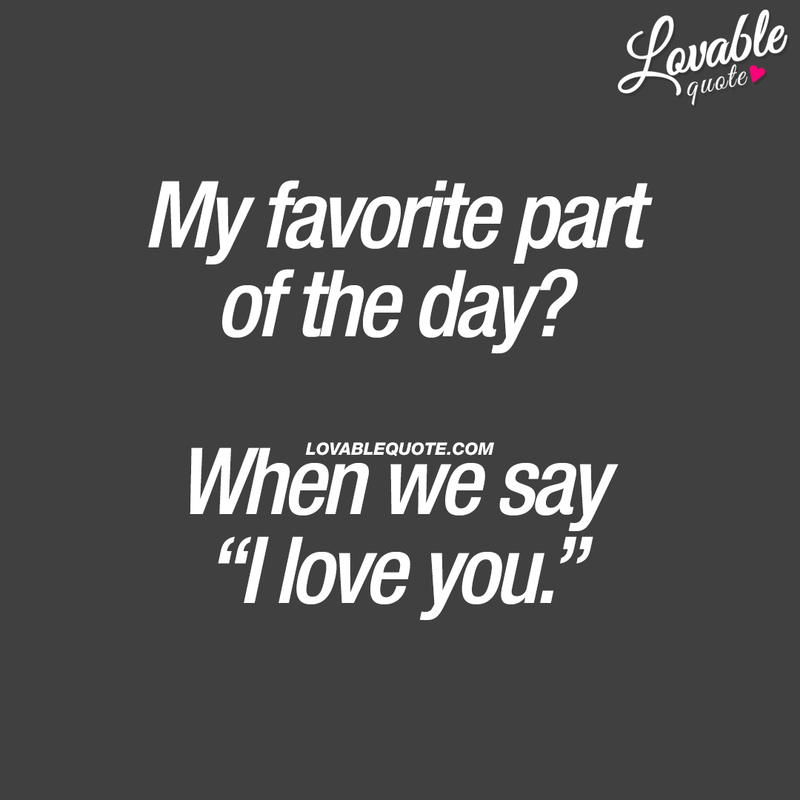 If this is your favorite part of the day and if you’ve been looking for a “I love you” quote, then make sure you make someone smile by sharing this quote! This My favorite part of the day? When we say “I love you.” quote (text and image) is copyright © Lovable Quote 2018.